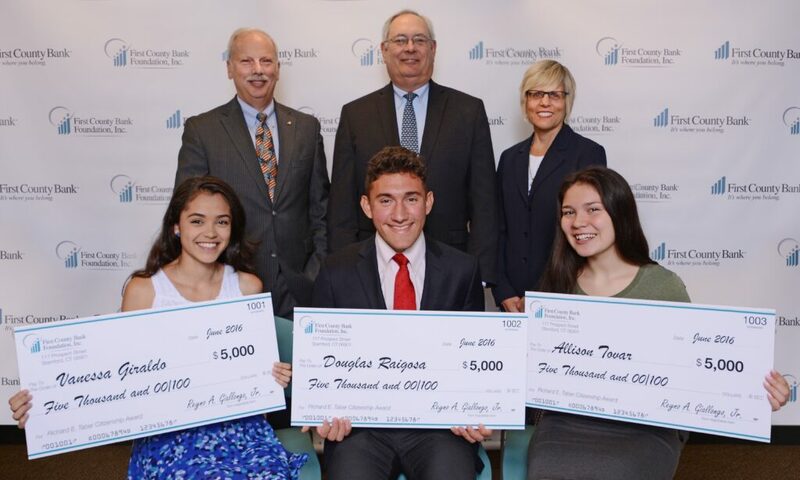 When the Richard E. Taber Citizenship Award was established, one of our goals was to create a scholarship that recognized local high school seniors for their contributions at home, school and in our community. 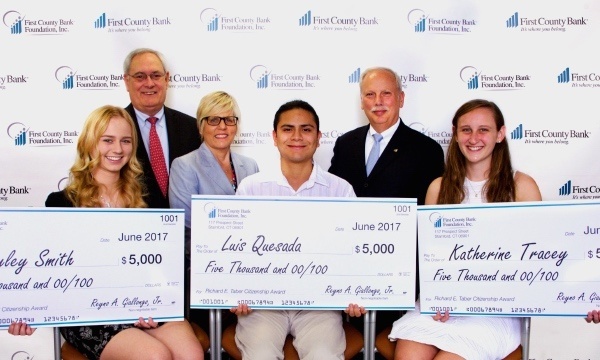 Since 2011, the First County Bank Foundation has awarded $120,000 in scholarships to deserving high school seniors who have demonstrated a commitment to the core values of the Award. Now, we are pleased to announce we are accepting scholarship applications for this year’s Awards. To find out more about the Award, including criteria and the application process, please visit our website.